Montgomery County Executive Ike Leggett today announced significant progress on the Economic Agenda that he unveiled at the beginning of his third term to make the County more competitive. Flanking Leggett at his Rockville news conference were Bob Buchanan, chair of the new Montgomery Economic Development Corporation and Donna Cooper, chair of WorkSource Montgomery Inc. – both formed as part of Leggett’s bold move to privatize the County’s economic development and workforce development efforts. Also participating was Council Vice President Nancy Floreen, who heads up the Planning, Housing, & Economic Development Committee, and who has been a champion on the Council of privatizing efforts. “Nearly one year ago, I said that our metropolitan region – and Montgomery County – could no longer rest on the status quo when it comes to attracting and keeping business and creating good jobs,” said Leggett. “Between federal spending cutbacks and instability and the rise of competitors throughout America and beyond we had to change the way we are doing business. 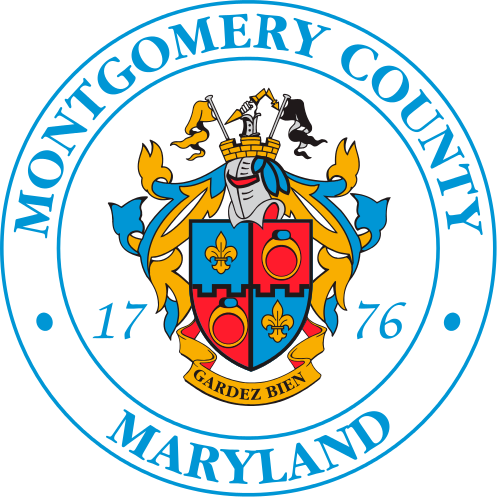 At the news conference, Leggett debuted, “Choose Montgomery,” a six-minute video featuring the faces and voices of Montgomery County entrepreneurs, talking about the County’s attractiveness to talent and the vitality of its entrepreneur community. Click here to see the video. “Nevertheless, we need to do more,” said Leggett. “And I am here to say that we have made significant progress on my economic priorities over the past year. Click here to see Leggett’s Six-Point Program. Click here to see a detailed progress report. “Our MOVE/Build incentives have already attracted 26 new businesses using more than 100,000 square feet of office space and adding almost 200 jobs with hundreds more projected. “We have boosted our entrepreneurial network with BioHealth Innovation’s first County “accelerator” to bring research health tech products to the market. MIT’s Venture Mentoring Service has started with 15 mentors to help fledging tech entrepreneurs. Our partnership with 1776, D.C.’s tech hub, will give a boost to companies with public-serving technologies. “To streamline development, we have put in place a Development Ombudsman to help shepherd projects through the development pipeline sooner. I committed to a 30-day building permit review by the County. We beat that, reaching our goal three months early and lowering the time to 19 days. “Working with our private partners and the State, we have launched our efforts to establish a high-speed fiber network to serve our major business and research corridors and transit-oriented communities. “Our progress toward reforming our work force development will boost job training for our residents and help our businesses meet their critical people-power needs more effectively in order to expand business and jobs. Leggett also debuted and demonstrated a new interactive Development Database, developed in cooperation with the Montgomery County Planning Department of the Maryland-National Capital Park & Planning Commission and the Montgomery Business Development Corporation, which allows business and the public charts the progress of significant development activity in the County through GIS and other tools. The direct link to the database is http://mcatlas.org/developmentactivity/.